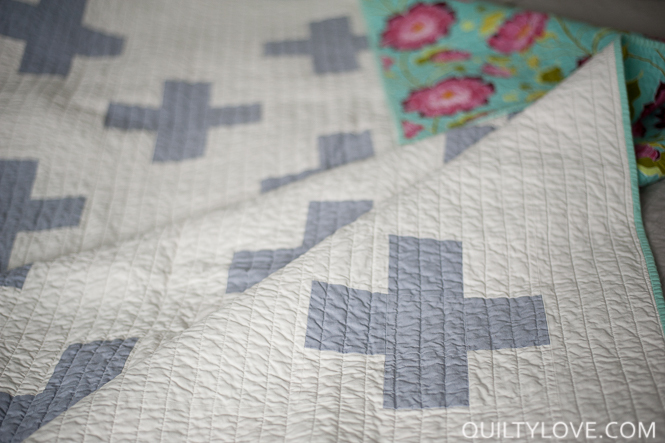 I’m slowly but surely working on catching up with all the completed quilts around here. 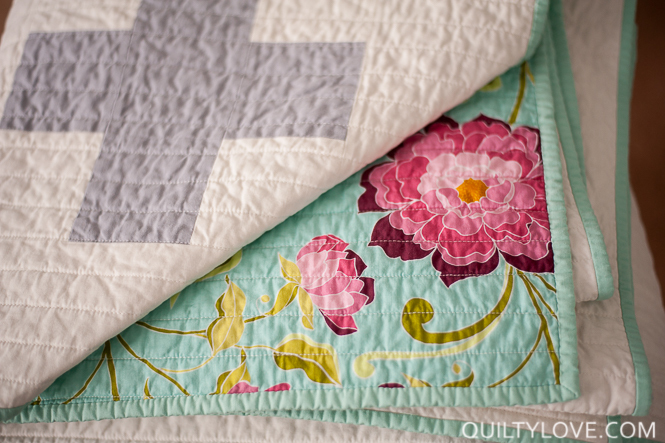 This blog pretty much serves as a place to document completed quilty projects. 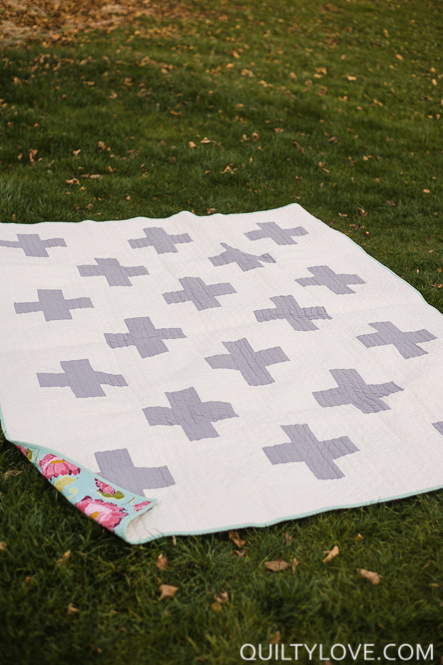 Today is a simple plus quilt. I started this one back in July at a weekend retreat with friends and finished it off a few weeks back. The grey is an Essex linen. I believe the color is “grey” but it doesn’t look anything like the screen shot. In person it is much more of a blue grey than a true grey. Does that make sense?…lol. This was an easy one to do at a retreat where thinking is minimal ;) Holly of Bijou Lovely had the measurements figured out for me in about 5 minutes. 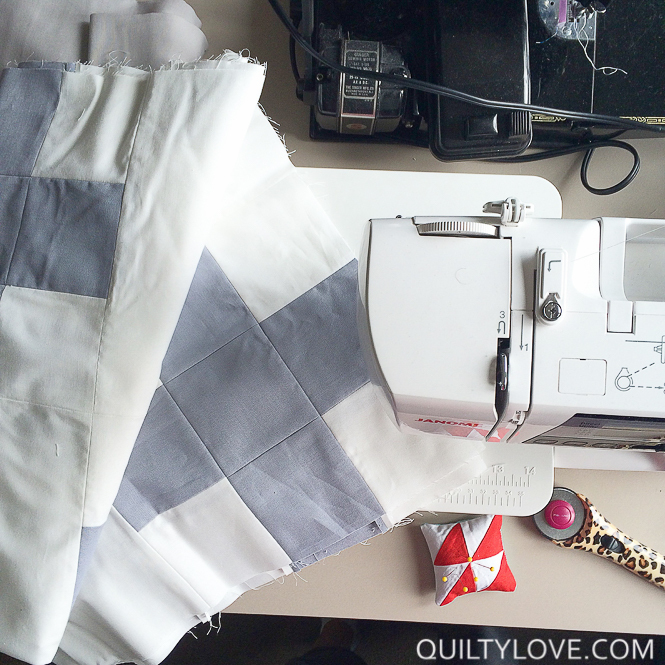 I tend to wing it with quilts and rarely figure things out before hand. Which leads to much over or under cutting. Make 18 blocks. Alternate with a solid white block when putting quilt top together. Add a 5.5in white border. 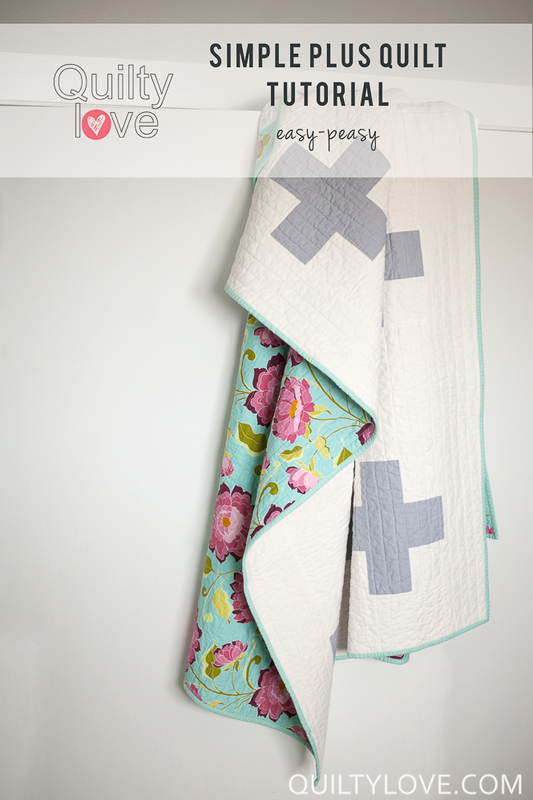 Because the front was so simple I paired it with a vibrant floral backing. This fabric is a Riley Blake print. 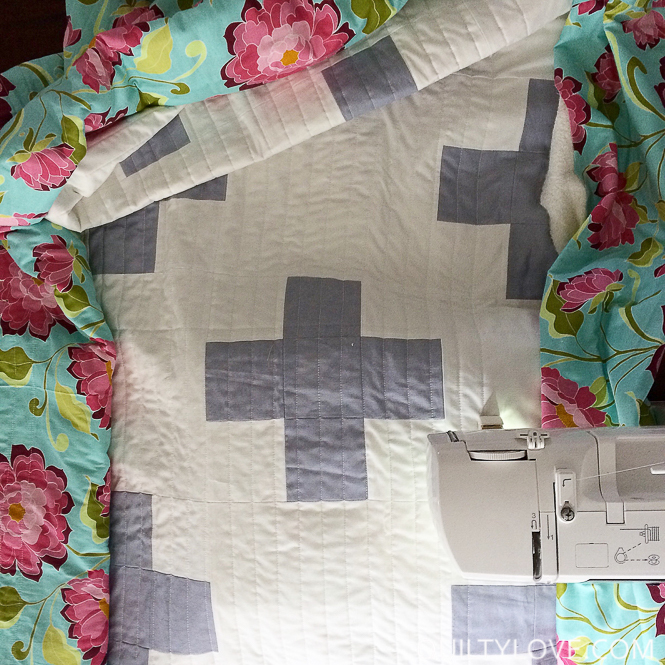 I went with 1 inch straight line quilting to keep the modern feel. 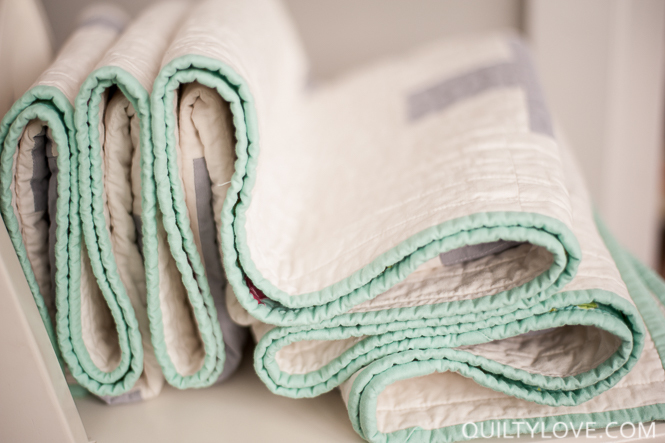 Those pale colours and crinkle in the quilt are soothing. Makes me think of quiet mornings. Thank you Anne! I appreciate that! 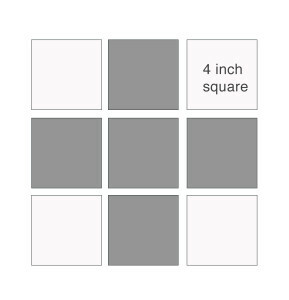 I meant for the squares to be 4″…. not sure what happened there. Oh that makes sense then. Would have been much easier cutting! 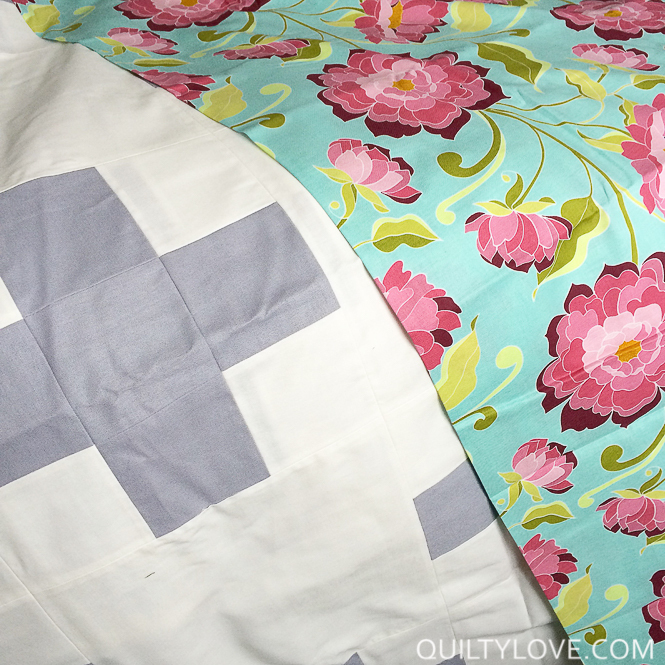 Anyway I have made the quilt top in two blues and I love it! Thanks so much. I look forward to reading your blog – it is so inspirational. Hi Emily! Do you know the brand/color of the biding you used? I’m looking for something similar and can’t seem to find anything. Thanks! Great quilt! Thanks for sharing your pattern. I really love the backing fabric and wonder if you could be more specific about which Riley Blake print it is. Beautiful! 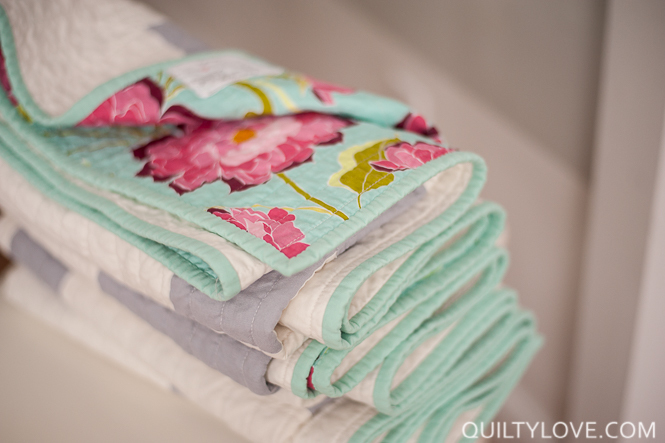 Love your blog, your style, and your quilts. Gorgeous! 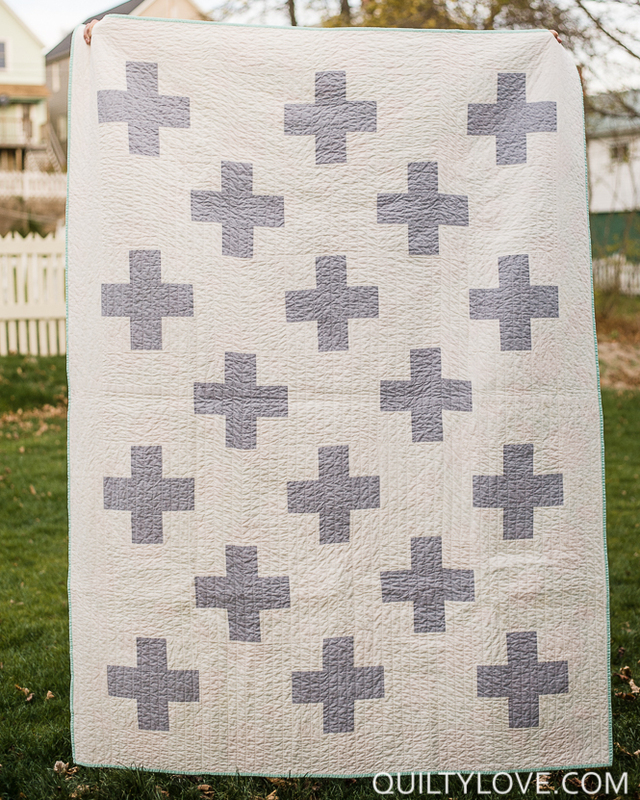 I’m not sure how old this post is with the grey and white quilt above, when it was made, but I love it. Couldn’t I just do the same thing with charm packs and if so is it 1 charm print to 1 charm solid plus yardage for the border? I’m not sure how much a charm pack equals in yardage. A 40 piece charm pack would equal a piece of fabric 40 inches wide and 25 inches long or 8 charms wide and 5 charms long. You could make 8 blocks using your charm pack. 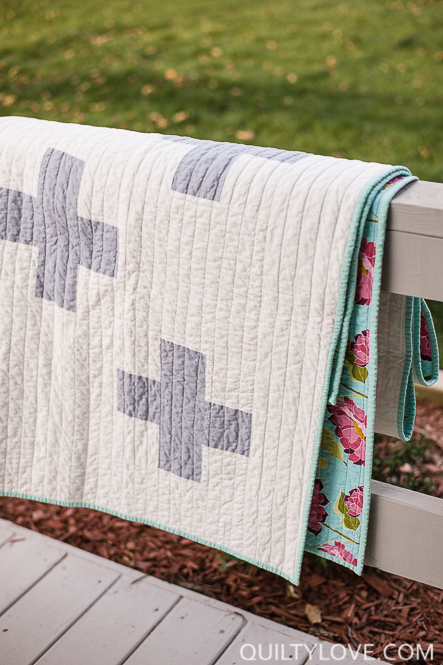 Or 10 blocks if you substituted a background charm block for the center of your nine- patch.